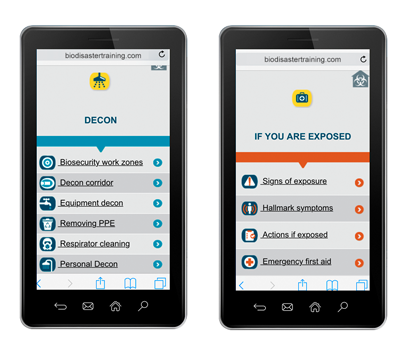 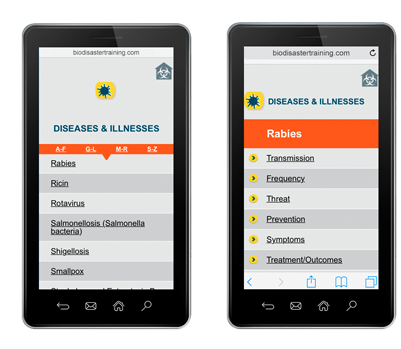 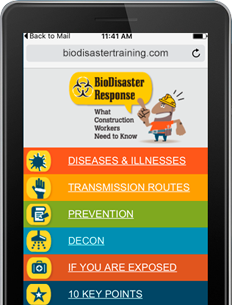 Mobile Micro-site gives workers a reference to look-up diseases and get a quick refresher on how they’re transmitted, where they’re found, what kind of risk or threat they pose, how to prevent exposure, and what are the symptoms, typical treatments, and outcomes of the disease. 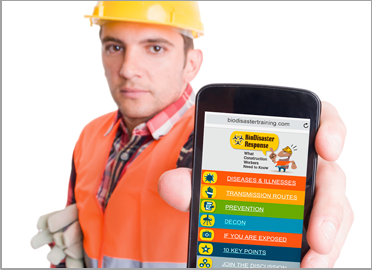 Workers can access key safety information for over 30 diseases and illnesses including prevention tips and potential symptoms. 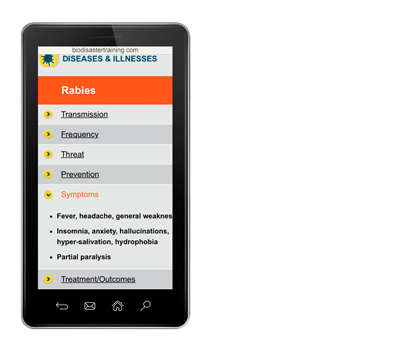 Below is an example of the kind of information that’s provided on each disease, using rabies as an example. 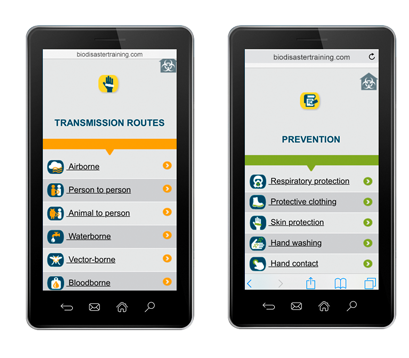 In addition to looking up particular diseases, workers can look up transmission routes, steps for preventing disease, decontamination steps, and what to do if they are exposed. 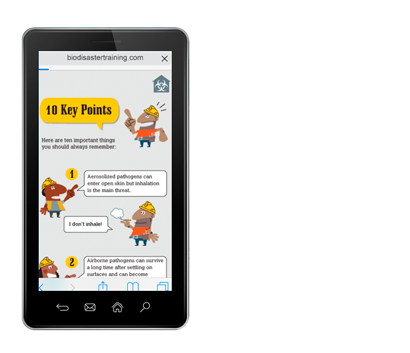 Finally, there is a section that emphasizes the ten key points that workers should always remember.